You never know what you'll find when you pry up the edges of the possible! 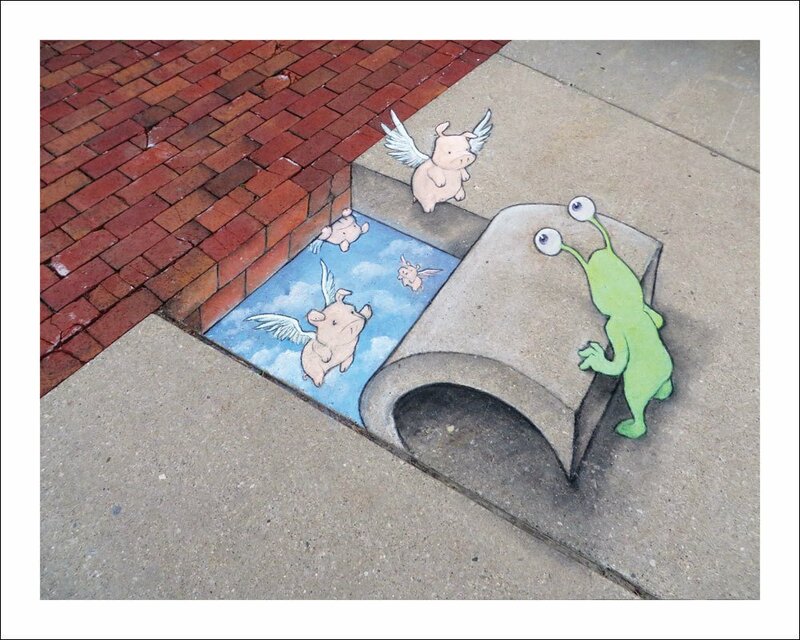 This classic example of two favorite David Zinn chalk art themes – flying pigs and a hole full of sky – was originally drawn at the Ann Arbor Summer Festival. High-quality print reproduction on archival 8" x 10" heavy paper stock. Suitable for framing!